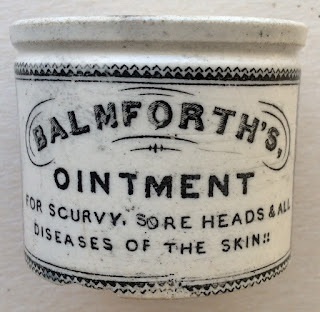 Balmforths Ointment was sold by two chemists based in Halifax, Yorkshire. The first was a Thomas Garlick whose business was taken over by Joseph Brearley, who continued to trade until the early 1900's. 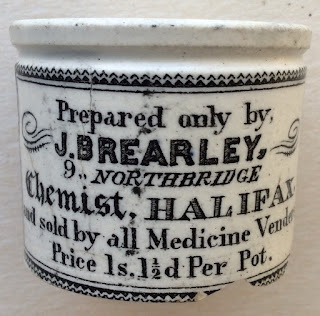 The pot is printed on both sides, one side showing the Balmforth's Ointment and its cures, and the other side showing the chemists details and the retail price.